A January 12 Washington Post article tackles American attitudes on race and immigration, citing new research from Mara Ostfeld, who is finishing a postdoctoral fellowship at the Ford School and will join the political science faculty in fall 2016. The article explores why some Americans hold negative attitudes toward immigrants, particularly in the era of GOP presidential candidate Donald Trump’s immigration rhetoric. Ostfeld’s new study, forthcoming in Political Psychology, shows that attitudes about immigration can be influenced by what we see and hear about immigrants. The study tasked a national sample of self-identified non-Latino whites to read fictional stories about an immigrant family. In one version, the family speaks English, talks about local events, and eats traditional American foods at a diner; in the other, the family eats goat meat at an ethnic market while speaking their native language and talking about events in their country of origin. The families depicted also varied by skin tone. Survey participants who read about the "Americanized" immigrants later expressed more positive feelings toward immigrants and immigration policy. While skin tone--dark or light--had no demonstrable effect on attitudes toward national immigration policies, dark-skinned immigrants were less welcome as neighbors. "It's really important that we understand that the liberal attitudes people express when considering issues in the abstract may not hold when thinking about the same issues in their own communities," says Ostfeld of the work. Mara Cecilia Ostfeld is a postdoctoral fellow at the Ford School of Public Policy. 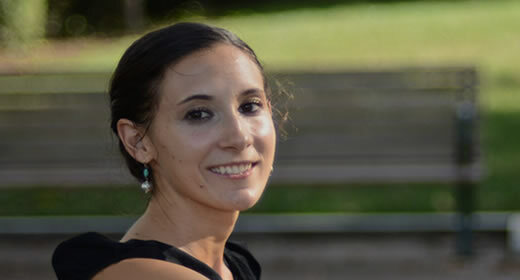 Her current research focuses on the effects of exposure to Spanish-language media on both actual patterns of Latino political identification, as well as how Latinos are perceived politically. Beyond this research, her work has explored questions relating to immigration attitudes, news frames, and survey techniques.